Artificial intelligence (AI) will impact the semiconductor industry in two key ways over the next several years, according to TrendForce. 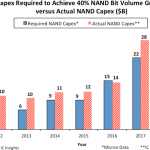 AI is expected to create demand for new technologies, opening up new market opportunities, and improve the semiconductor fabrication process. 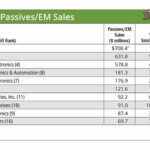 With new products and platforms related to AI rolled out over the past year in the IT supply chain including integrated circuits (ICs), intellectual property (IP) development, electronic design automation (EDA), and operating systems (OS), TrendForce predicts AI will be a major growth driver for semiconductors. AI applications are forecast to drive semiconductor revenue growth over the next five years at a compound annual growth rate of 3.1 percent from 2018 to 2022. 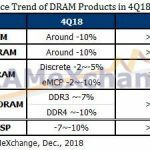 “AI influences the development of semiconductor sector in two ways: creating demand for new type of technologies and improving the product fabrication process,” said Jian-Hong Lin, research manager of TrendForce, in a statement. Lin also noted that AI-related demand is driving the creation of new solutions across markets, including sensors, hardware accelerators, digital storage units and telecommunication services. 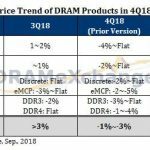 It also has led to upgrades of network infrastructure, data centers and server systems, and is driving the average semiconductor content per box for a variety of end devices, he added. 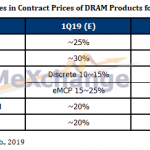 As a result, new IC solutions for emerging applications and higher average selling prices (ASPs) for mainstream ICs, has boosted revenues at semiconductor makers, said Lin. One of the fastest-growing AI-related growth applications cited by TrendForce is the automotive market, particularly for advanced driver assistance systems and electric vehicles. Smart home solutions is highlighted as another emerging market for semiconductors, which includes voiced-based virtual personal assistants based on AI systems. But AI adoption is not just fostered by emerging applications. Mainstream products such as smartphones also are now incorporating AI-related features. 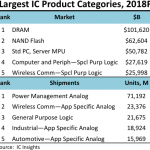 “The global top three smartphone brands and major suppliers of mobile SoCs all have offered hard- and software products including AI accelerators ICs and application development kits,” said TrendForce. AI also is being used to transform the manufacturing industry as part of the Industry 4.0 trend, which includes the semiconductor fabrication process. But AI implementation in the manufacturing supply chain still has a way to go. A recent report from MIT Sloan Management Review and The Boston Consulting Group (BCG) finds a big disconnect “between AI ambition and execution.” One key finding indicates that more than 75 percent of the 3,000 business executives surveyed believe that AI will create competitive advantages or new lines of business but only about one in five companies has incorporated AI into some offerings or processes today and only one in 20 companies has extensively incorporated AI into offerings or processes. In addition, less than 40 percent of all companies have an AI strategy in place, and only half of the largest companies (100,000 employees or more) have an AI strategy, according to the report. The MIT Sloan and BCG research report, Reshaping Business with Artificial Intelligence: Closing the Gap Between Ambition and Action, indicates that most organizations expect sizable effects on information technology, operations and manufacturing, supply chain management, and customer-facing activities. 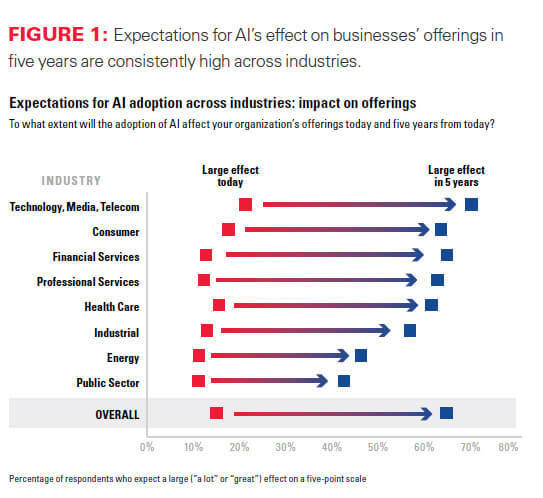 However, only 15 percent of respondents believe AI is having a large impact on their company’s offerings or processes today, and about 60 percent think it will happen within five years. Within the technology, media, and telecommunications industry, 72 percent of respondents expect large effects from AI in five years, which is 52 percent higher than companies currently reporting a large impact from AI. 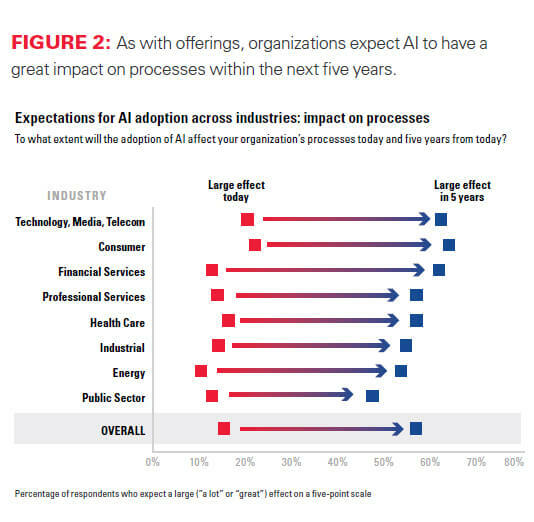 Survey respondents also expect AI to have a big impact on processes. More than 59 percent of respondents expect to see large effects on processes within five years, although only 15 percent see a large effect of AI on current processes. The biggest impacts will likely be found in areas such as information technology, operations and manufacturing, supply chain management, and customer-facing activities. As a result it has shortened the amount of time it takes for Airbus to deal with disruptions by more than a third, said Evans. But organizations don’t view AI the same in terms of opportunity and risk. More than 80 percent of respondents believe AI is a strategic opportunity while nearly 40 percent believe AI is a strategic risk as well. These organizations are segmented into four maturity clusters based on their understanding and adoption – pioneers (19%), investigators (32%), experimenters (13%) and passives (36%). “Companies in each cluster face their own challenges in further adopting AI,” said David Kiron, executive editor of MIT Sloan Management Review, and report coauthor, in a statement. Similarly, a report, Turning AI into concrete value: the successful implementers' toolkit from Capgemini, a consulting and technology services provider, finds that many organizations haven’t aligned their AI investments with business opportunities. A key finding shows that 58 percent of the nearly 1,000 organizations surveyed are focused on “need to do” implementations or high complexity/high benefit projects and 46 percent are deploying “must do” AI implementations with low complexity/high benefit. Capgemini’s Digital Transformation Institute believes “if firms tackled both problems simultaneously, they could see higher business benefits. As an example, companies implementing a large number of “must do” use cases are reducing operational cost due to process improvement by up to 24 percent on average. Other big benefits include greater legal/regulatory compliance at lower cost, a higher increase in operational efficiency, and higher sales of new products and services. 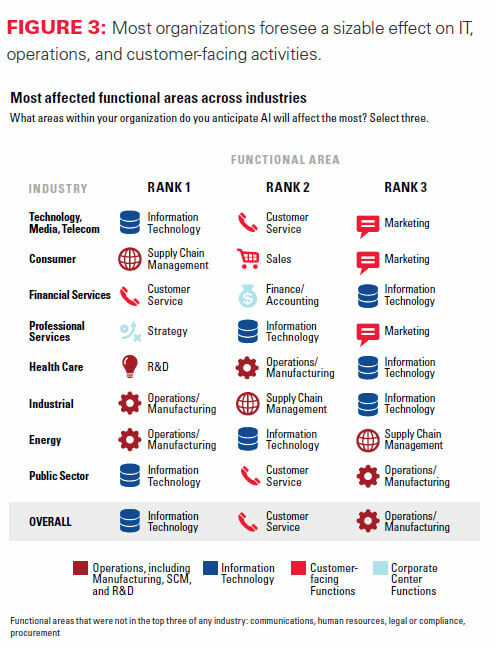 Yet, those that can leverage some of the biggest benefits from AI are implementation laggards, including automotive (26%) and manufacturing (20%) industries. The leaders are traditional sectors, said Capgemini. These include telcos (49%), retailers (41%), and banking institutions (36%). "AI has the capacity to revolutionize every business in every market sector; its potential is broad and unlimited. 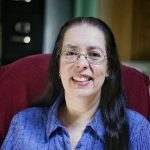 However, we are seeing a large contrast between those who are rolling out applied AI solutions at scale and reaping tangible business benefits, versus those who are simply trialing the technology,” said Ron Tolido, chief technology officer for the Insights & Data Practice at Capgemini, in a statement. “It's also quite revealing that organizations are focusing more of their efforts on the more complex AI projects and missing out on simpler projects that could drive quicker returns. Organizations, especially those not yet implementing AI at scale, should focus on those low-complexity, high benefit projects to quickly and better leverage the power of AI,” he continued.